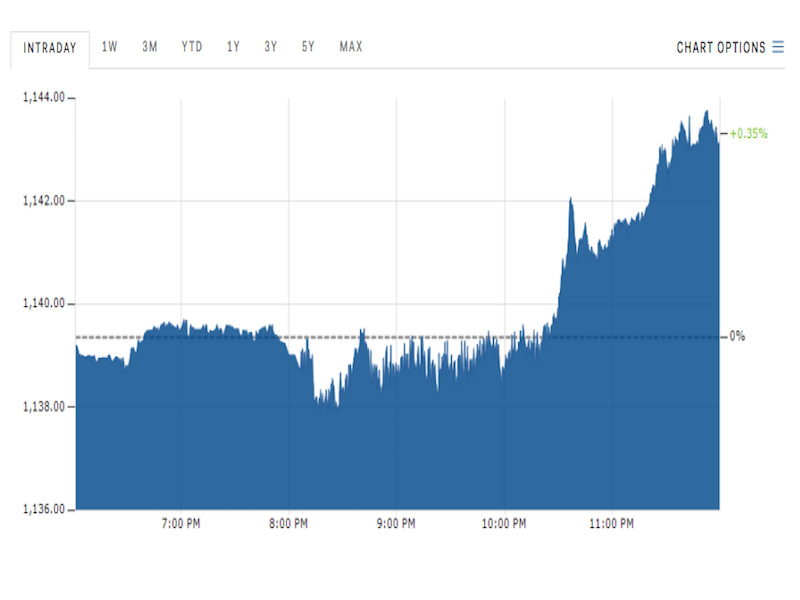 The Korean won tumbled again Thursday amid ongoing elevated geopolitical tensions in the region. The won closed down by 0.7% at 1,143.30 per US dollar after North Korea’s army reiterated its threat to launch nuclear-capable missiles near Guam. Thursday’s slide follows a 0.9% drop on Wednesday. The won is now trading around levels last seen in early July. “The net impact is to lift the US dollar, yen, and gold [while] South Korea bears the brunt of the adjustment,” said Marc Chandler, global head of currency strategy at Brown Brothers Harriman. “It is difficult to walk back the saber-rattling rhetoric,” he added. The euro is down by 0.3% at 1.1728 against the dollar. French industrial production slumped 1.1% in June, below expectations of a 0.5% dip, according to the latest figures. The British pound is little changed at 1.2997 against the dollar after data showed that manufacturing production in June was unchanged, and industrial production rose by 0.5% in June, above forecasts of 0.1%. The US dollar index is up by 0.2% at 93.73. The Japanese yen is up by 0.2% at 109.81 per dollar.